While trans characters are usually derided in movies, ‘Njan Marykutty’ portrays the protagonist sensitively, community members say. They were afraid, they say. Plain scared. 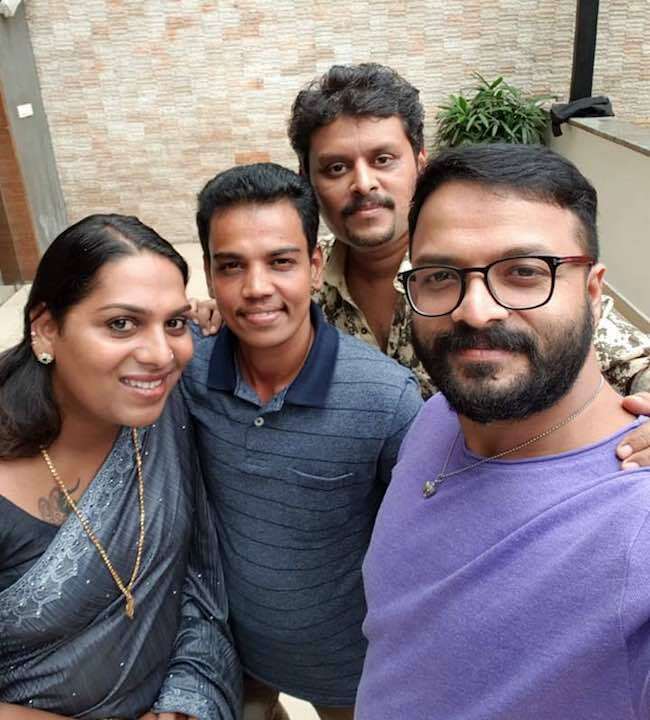 It was weeks ago, when they had just heard about a movie called Njan Marykutty, and that it was going to have Jayasurya play a trans woman. Muhammed Unais sent a long message to the director, Ranjith Sankar. They told him their fears and anxieties – because every time there was a trans character in a movie, they’d be reduced to mere objects of mockery. Entertainment props. Unais didn’t get a reply from Ranjith. But they heard from their trans friends that both Ranjith and Jayasurya had contacted them, to understand the struggles transgender persons go through – especially successful transgender people, and how they reached where they did. So Unais, who identifies as gender queer (and uses they/them/their pronouns), heaved a small sigh of relief. But they still didn’t know the script, and didn’t know what the movie was finally going to look like. When they finally watched the movie when it came to the theatres, along with a trans friend, they say they cried through it. “It is a good, good film,” Unais says. And they were doubly thrilled to hear their trans friends say they loved it, a film that had finally shown them some justice. Unais also posted about the film on Facebook, and the film’s director Ranjith Sankar shared the post and said thanks. “Mostly filmmakers use sexual or gender minorities only to entertain the audience, bring some laughs. Hurting them. Njan Marykutty was a change from that,” Unais says. Mainstream movies with obvious reference to trans people have almost always failed them, Unais says. For instance, Lal Jose’s Chandupottu was hurtful not just for the way it depicted trans characters, but also because the title ended up becoming a term used to deride the LGBTQI+ community in the state. “So I was very afraid when Marykutty was announced. But my queer friends are very happy. Some of them took their parents to watch the movie. There are a few minor flaws, where they got some terms wrong, but that can be neglected for the movie sends out a larger message to the public,” Unais adds. There were scenes that every trans person in Kerala could relate to, says Surya, a trans woman who recently married Ishaan, a trans man, under the Special Marriages Act – the first trans couple in the state to do so. “I didn’t see Marykutty on the screen, I saw myself,” Surya says. Just like Marykutty, she too had been once harassed on the streets, way back in 2005, when she chose to wear a sari and walk in public. She was taken to the police station, like in the movie, and stripped to her undergarments. “The policemen spoke to my dad like they did in the movie. Each of the incidents shown in the movie is something that happened to us Marykuttys,” Surya says. “This film is a clear change from the earlier trend of depicting trans characters as comical,” she adds. Surya went to watch the film with Ishaan and his mother. She saw people smile at her, she heard them clap at the end of the movie. Friends told her they didn’t see Marykutty or Jayasurya in the film but her. One of the most emotional reactions came from Anjali Ameer, the trans woman who will be playing the female lead in a Mammootty film. “My eyes were full watching many scenes. In real life, most of us go through situations that are much more brutal. Before I medically transitioned, I was pulled by my hair, slapped on my face... Such a lot of harassment that all of us have gone through... People who have to go abroad for work know the pain of not coming home for a year or two. So imagine how hard it would be for us, living our whole lives alone. Like Marykutty, we want to have a good future, live respectable lives,” she said in a Facebook Live video. “Though I have not done much, I think I have been able to reach there a little. Every clap that Marykutty got is like an award for me,” she said.